Our friend Phil McGovern over at Crank & Piston recently came across this crazy R35 build in the UAE. Of course, when we heard about it, we invited Phil to share it with our readers! Phil McGovern: When we got our grubby mitts on the latest iteration of the monster Nissan GT-R we came away rather impressed. With 523bhp on tap from the twin-turbo V6, it's fair to say that the updated R35 edition of Godzilla was pretty swift. So what happens when you have an owner who is not satisfied with the standard level of performance; a person who wants that little bit extra? Well, step forward UAE-based tuning kings TAM Auto Engineering along with Hally Auto Dubai and Forged Performance from the US created the little beasty you see before you. It's fair to say that this isn't your standard Nissan GT-R – and I doubt the boys at the Nissan dealership service department are going to be getting their hands on it for an oil change anytime soon. It might be easier to describe what hasn't been changed on this GT-R, so bear with us as we try to guide you through the modifications. 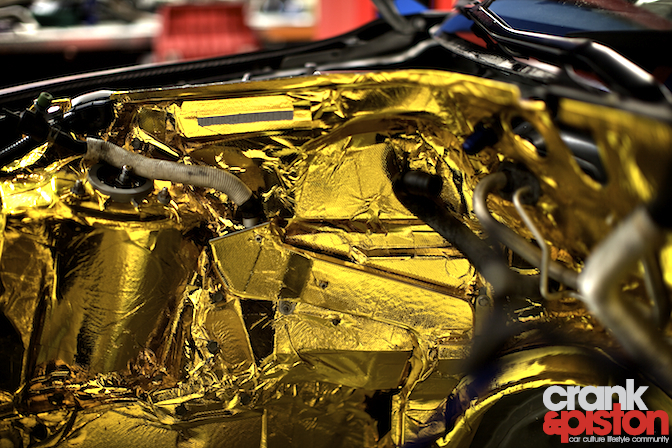 Firstly, the heart of the GT-R – the engine. Out goes the standard 3.8-litre V6 and in comes a GReddy 4.0-litre short block. Bestowed upon it are cylinder heads and custom-cut camshafts from HeadGames. This is then coupled to a JUN Auto intake manifold with a specific custom big bore throttle body – made to spec. On top of all that, TAM created a custom fuel system, designed, fabricated and installed in-house. Naturally, there's a lot of turbo goodness going on here. 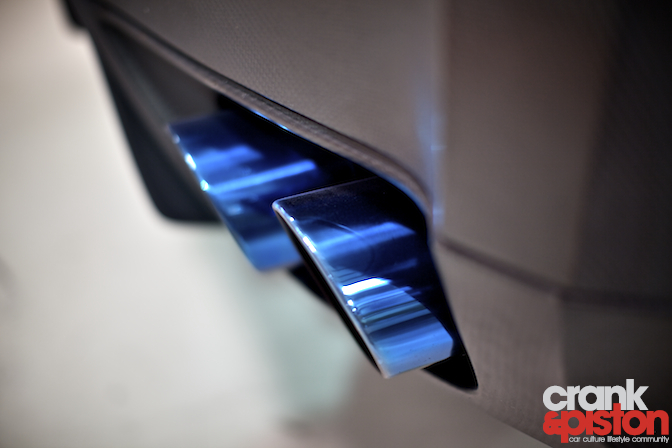 The GT-R is fitted with an AMS Alpha X turbo kit – only without the turbo. 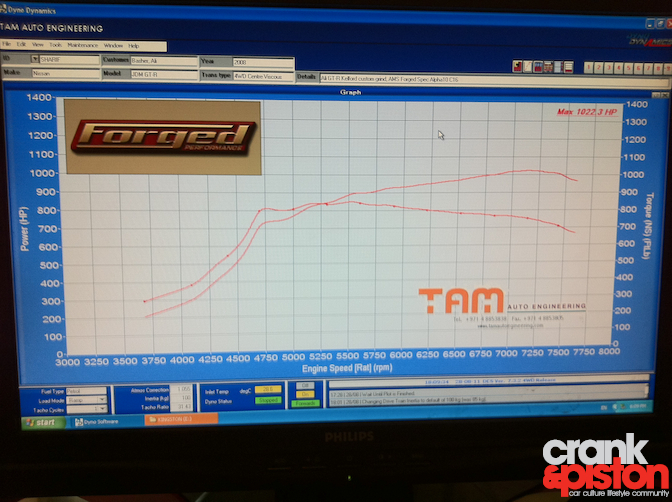 The turbo fitted is a Dallas Performance custom turbo built specifically to the spec of this project. With a big boost in power, it's good to see that some attention has been given to other areas of the car. 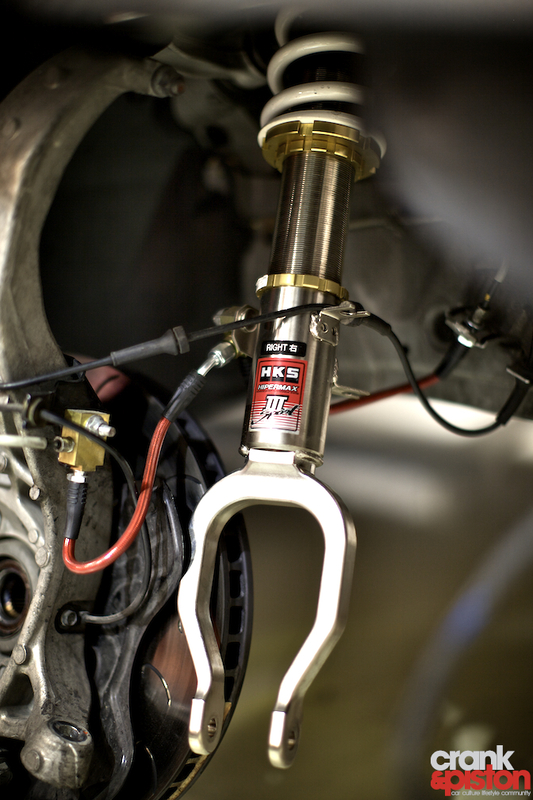 Custom-built HKS suspension courtesy of Hally Auto Dubai features alongside a Sheptrans bespoke transmission that been designed to specifically handle all the power. It's not as smooth as the standard system, but with this much bhp you've got to go uprated, otherwise you'll be eating through gearboxes quicker than Crunchy Nut Cornflakes. Out on the road, this GT-R doesn't scream it presence. According to those lucky enough to have spent some time behind the wheel, at low speed it feels on par with the stock car. The custom titanium exhaust is nice and quiet when cruising and doesn't assault your ear drums when you unleash all manner of fury. 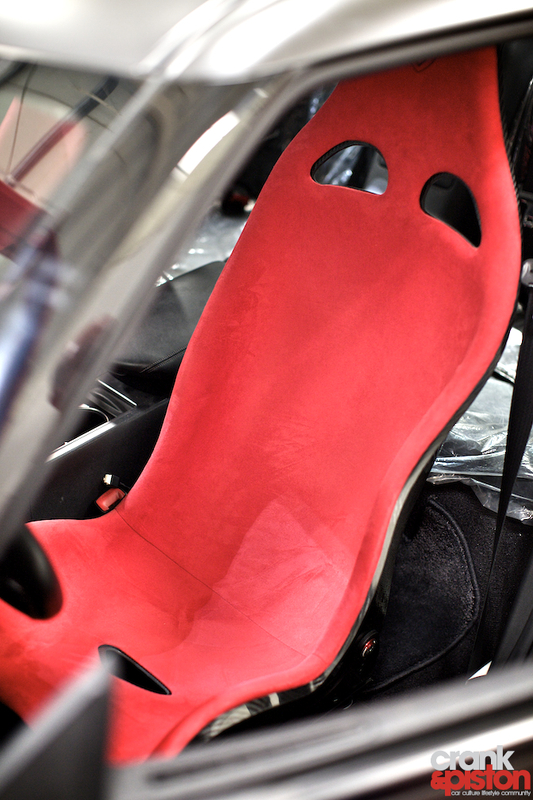 On the inside, the stock seats have been junked in favour of a pair of Technocraft carbon-fibre seats. Despite impressions, they're actually rather comfortable and nicer to spend time in than the factory items. The fact that they weight just 3kgs each certainly doesn't hurt either! 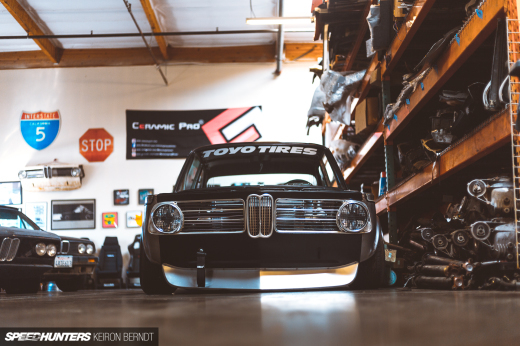 Though this car might look like a drag-strip queen, it's actually been built to be a daily driver. 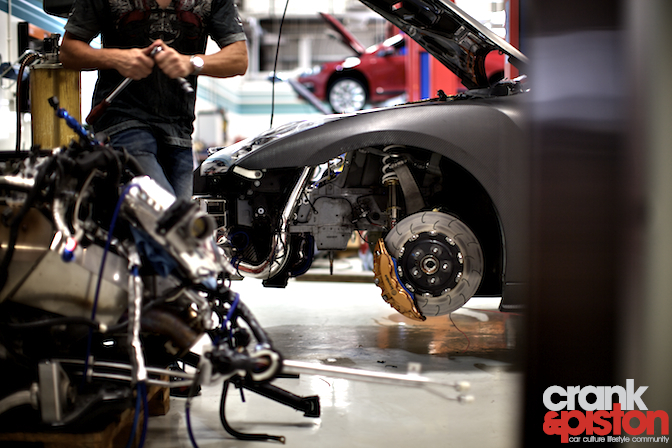 The man responsible for the GT-R's beautifully balanced level of tune is Sharif Abdelbaset from Forged Performance in the US. He is someone who knows his way around a GT-R's engine, complex electronics system and how best to make the system 'think' how you want it to thanks to the use of an HKS EVC 6 boost controller (again, provided by Hally Auto). So what is the result of all the hard work listed above (and plenty else I can't even begin to get my head around)? Take a look at the dyno graph (from the Dyno Dynamics setup based at the TAM HQ) above and then read the figure in the top right corner. Yup, that says 1022.3 HP – at the wheels don't forget. All achieved on C16 as apposed to the usual Q16 gas. 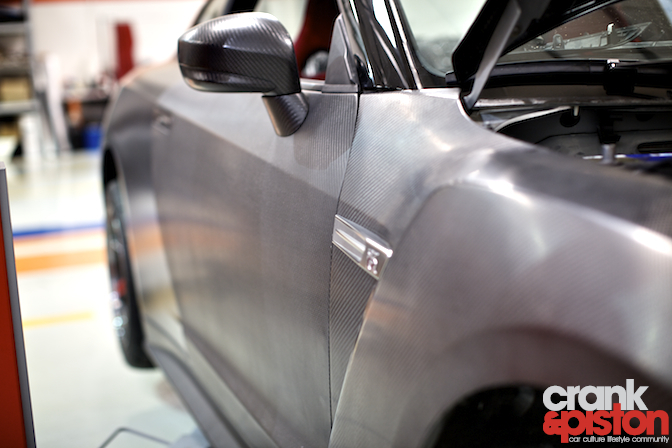 Completing the overall package is a stunning full dry carbon fibre body kit – complete with rear spoiler delete. 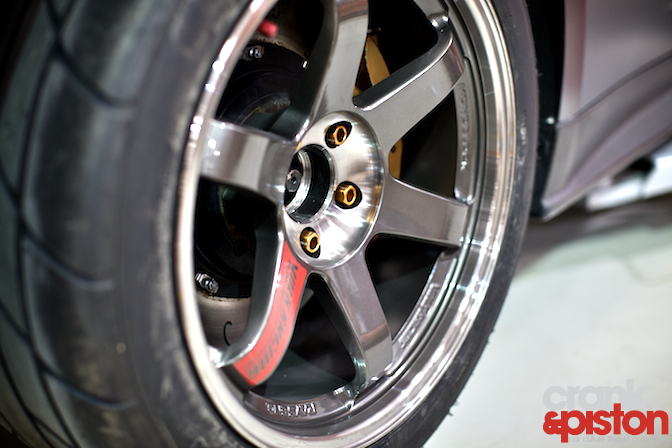 The wheels are Rays Forged Monoblocks in 18" diameter wrapped in Mickey Thompson rubber. And although 18s sound small by today's liquorice strip desires, they look superb and really suit the subtle 'Q' car vibe. Some more of that naked carbon goodness – yum. For those of you that claimed 3M… 'fraid not! And if you were wondering if TAM Auto Engineering were a one-trick pony capable of tuning monster GT-Rs and little else, then you'll be so far from the truth it hurts. They are also one of the most successful racing teams in the Middle East, having dominated the local GT championship with two Corvettes. They also have a great line in tuning VAG products and have been known to tackle any job involving a four-wheeled vehicle. The man behind all of this is a certain Motaz Abu Hijleh – General Manager and all round nice guy. Put this man in front of a shisha and he'll talk until the wee small hours about everything automotive under the sun. Now all that is left to do is take a ride in the monster GTR you see before you! thats just a retarded amount of power lol still awesome though! When will someone do an RB26 engine/full drivetrain conversion into an R35??? Great car. So many big power GTR's around the world now it seems. I was wondering how a car with a full carbon body can be classed as a Q Car though? Read about these guys in 0-60 Magazine a while back, amazing stuff! Love what they did with the R35. 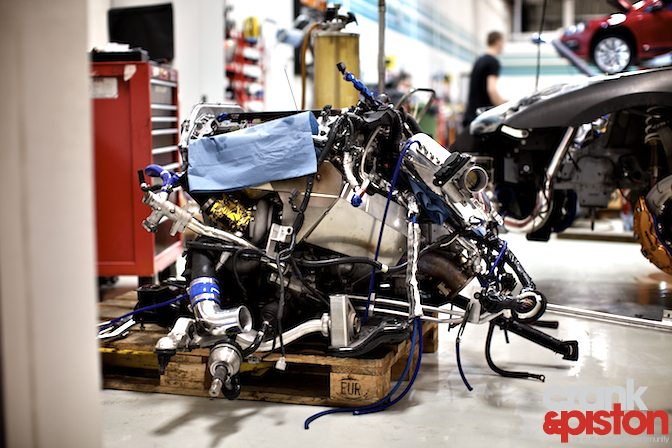 @Syfon: Probably never... As much as everyone loves the RB powerplant, the VR38 is simply a more reliable and efficient engine with possibly greater power and tuning capabilities. Trust me I love the RB26 as much as the next guy, but I would never swap out the VR38 in favor of it. Besides, you would be losing 1.2L of capacity. When it comes to torque output, that is a lot. Ah...you just had to add the comment about shisha at the very end. I haven't been to a hookah bar in some time since I've been overseas and have been missing the hookah experience. Great overall thread but you've made me crave a nice hookah set now. will it beat the russians?? sick build! That thing is mad sick! would like to see some video's! WOW! Who makes those dry-carbon body parts? Carbon Fiber fenders, hood, front bumper. 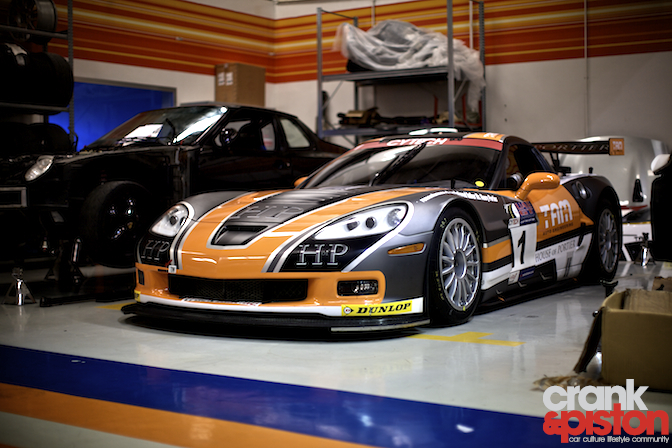 That looks like the JGTC carbon fiber hood. 1000+ HP daily driver! Nice, I'll keep an eye out for this car. So many great cars in the middle east! I think I remembered that the person I used to work under actually worked with TAM, he usually wears the t-shirt at work and he also mentioned to me he used to work over at Dubai as well. Forged Performance doesn't really build anything of their own. They take parts and pieces from other tuners and put them together and call it a "Package", in other words, a polished turd. Give me a break. Troof, the new engine is the future. putting rb26?NO man....VH45TT for poor man's v8 or vk56TT for the shot callers ! Go a head , awesome Man !! !